If you are looking for something that will add value to your home, engineered hardwood floors installation is always a great choice. It is also the type of flooring that won’t absorb water quickly, but this doesn’t make it water-proof. Just like concrete floors, the beauty in engineered hardwood floors installation can be ruined by a minor spill, a leak or over mopping that might lead to unnecessary water damage repair costs. And that is the reason experts will highly advise you to consider adding a seal. Water damage repair can be costly, time-consuming and stressing. Your floors might need more than one repair to bring back the new look, but this is never a guarantee. The point is, you might have to spend more than the initial cost required for engineered hardwood floors installation. Sealing your hardwood flooring protects your floors from leaks and spills of water that may lead to unnecessary water damage repair costs. One of the reasons you might want to consider engineered hardwood floors installation is the beauty in it. But what good is that charming look when it can be ruined in time? Sealing your floors leaves a water-resistant coating on your hardwood flooring. This coating prevents the water from soaking and damaging your hardwood flooring. But not only that. A proper seal will also add some sparkling look making your home look beautiful. Water damage repair and replacement costs can be expensive. It will soak your floors, leaving stains and splits that will spoil the charming look of your hardwood flooring. The last thing you want to do is replacing your floors sooner after the installation. Sealing your floors will keep your engineered floors installation intact for a longer period. It adds a protective layer that prevents your floors from absorbing water leaks and spills that may damage your floors. One great advantage of having your hardwood flooring sealed is, it doesn’t take too much. You only need a few dollars to seal up to 10 meters of your floor, which is much lower than replacements and water damage repair costs. So, why would you want to spend more when you have a better option? None. Sealing your hardwood floor doesn’t just add some charming look. It also helps maintain the initial look for a longer time at an affordable price. Who wants to buy a home with damaged floors? Many home buyers will use your flooring to value your house. They’ll be looking for dents, splits or anything that might give them an excuse for wanting to pay lower claiming they will have to repair it later. Besides, repairs are stressing and time-consuming. Sealing your hardwood flooring adds value to your property. It will prevent the water leaks from soaking, splitting and leaving stains on your floors that might compromise its value. A properly maintained and sparkling clean floor might be profiting, especially if you have plans of selling your house later. In fact, it is also one of the tricks to get your house rented faster. Engineered hardwood floors installation is one way to make your home look appealing. Unfortunately, water destroys almost everything, and your hardwood flooring isn’t an exception. 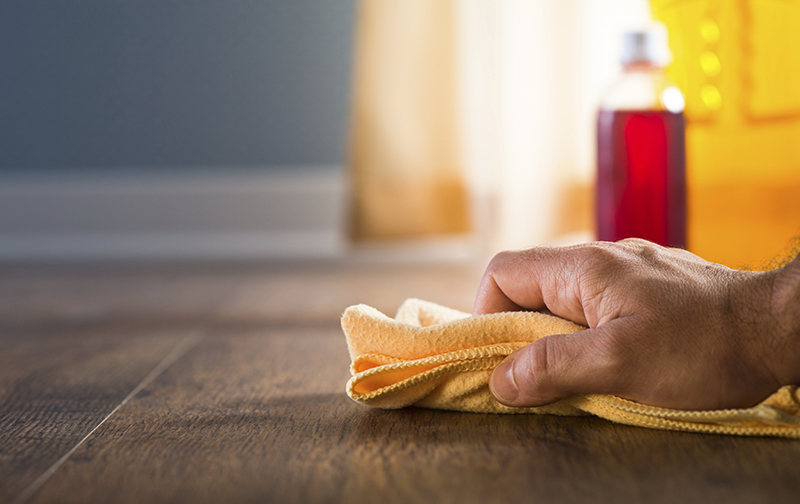 If not sealed properly, hardwood floors may continuously absorb water leaks or spills, leaving stains that will ruin that beauty. The best way to prevent water damage repair costs and replacements is to add a water-resistance layer on top of your engineered hardwood floors installation. Sealing your hardwood floors will extend its life, reduce water damage repair costs and increase the value of your property. But all this depends on who is offering the services. Get high-quality services and better deals on engineered hardwood floors installation and refinishing by working hand in hand with Elegant Floors. Call us at 408-773-8624 or use our online free quote form today!